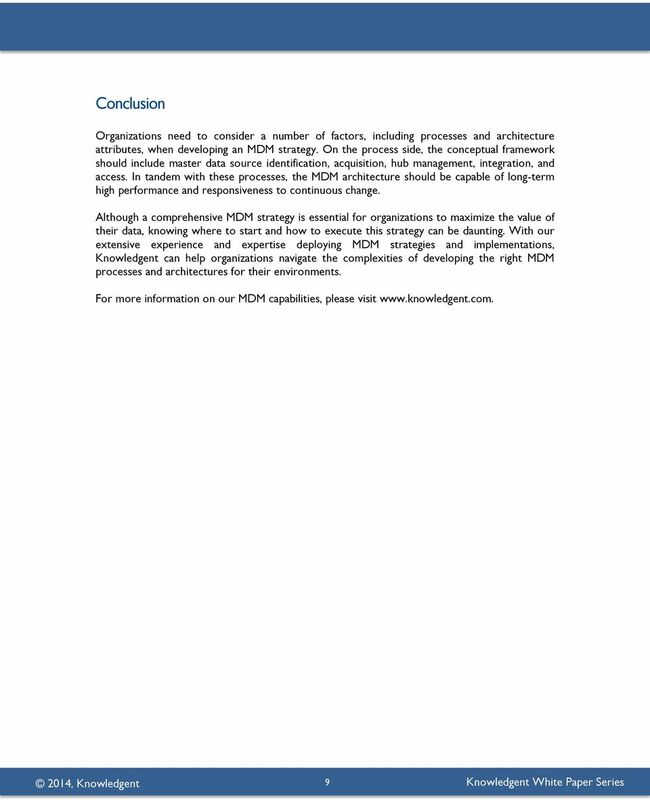 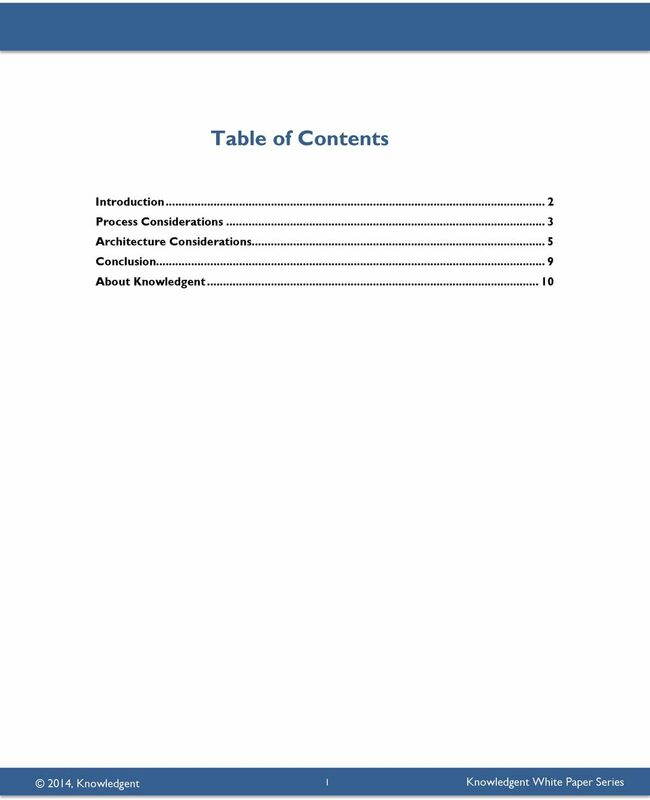 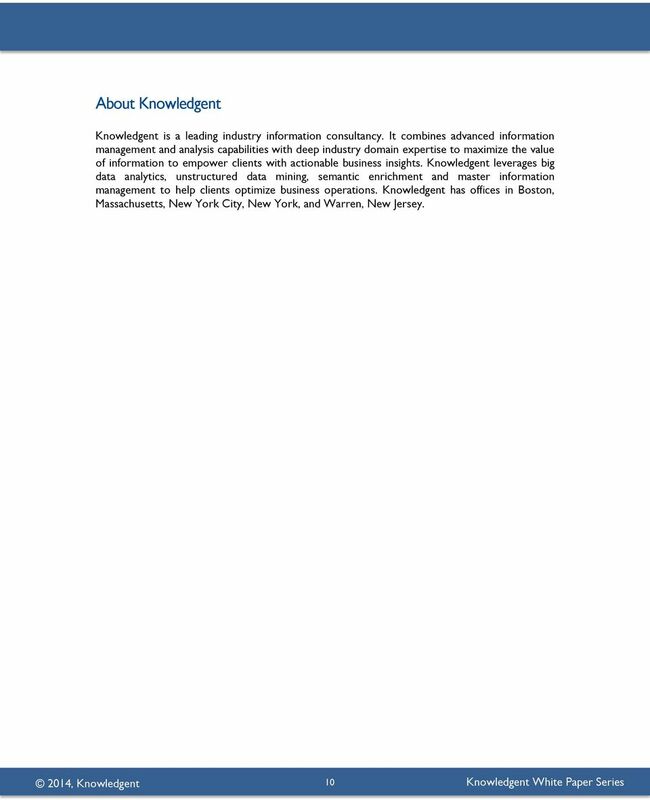 Download "Knowledgent White Paper Series. 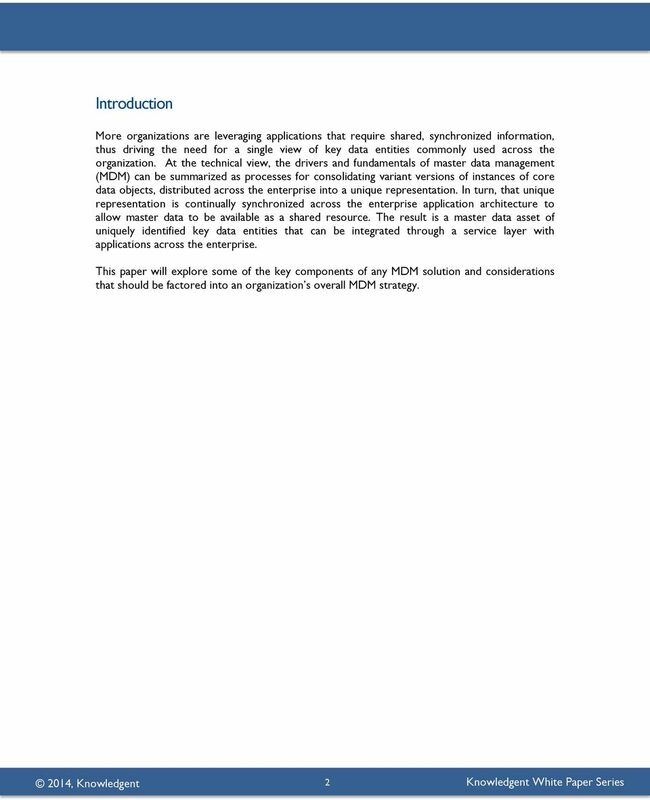 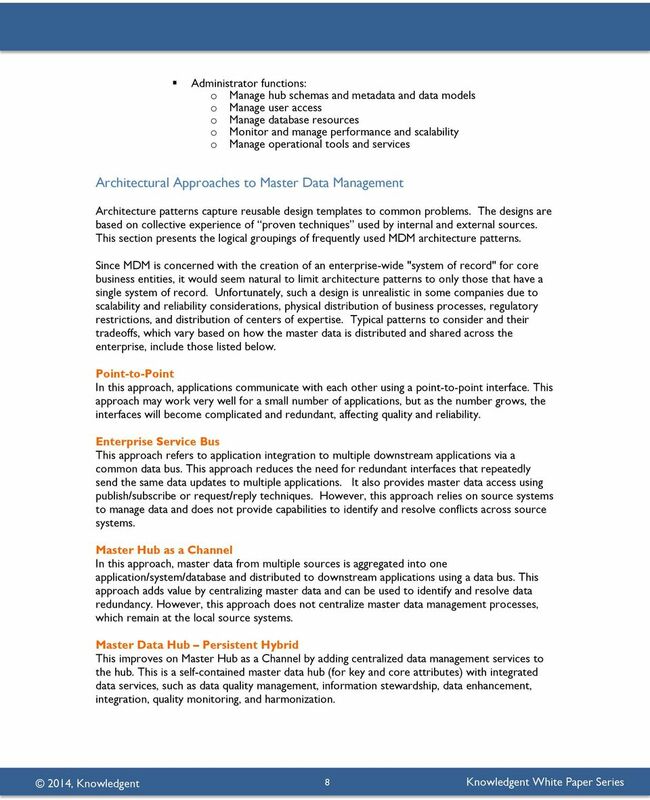 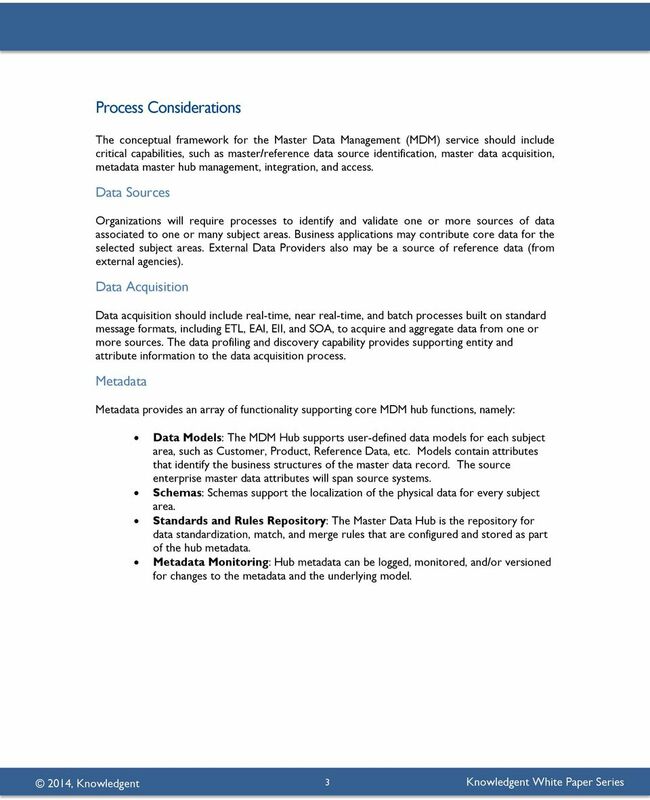 Developing an MDM Strategy WHITE PAPER. 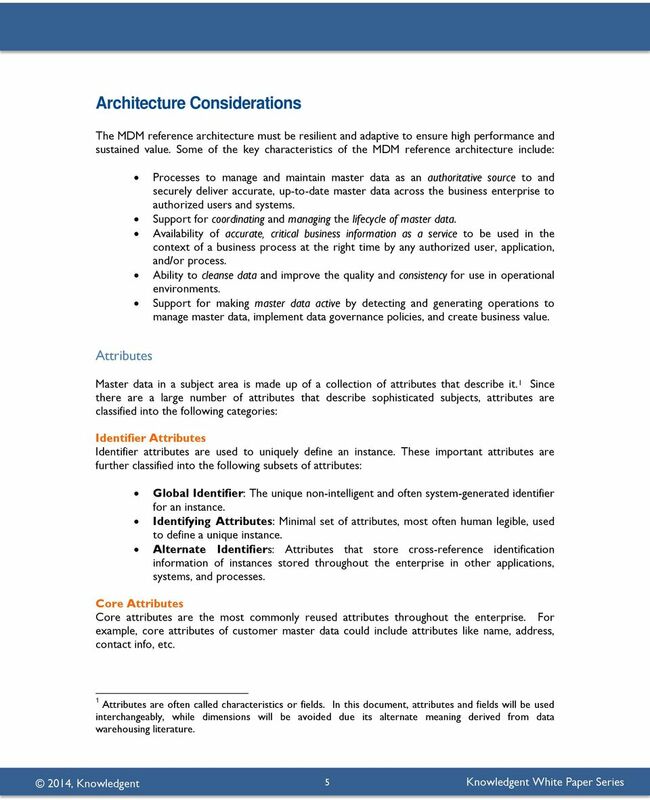 Key Components for Success"
Enterprise MDM: Complementing & Extending the Active Data Warehouse Mark Shainman Global Program Director, Teradata MDM Agenda MDM and its Importance MDM, The Enterprise Data Warehouse and Data Mart Consolidation. 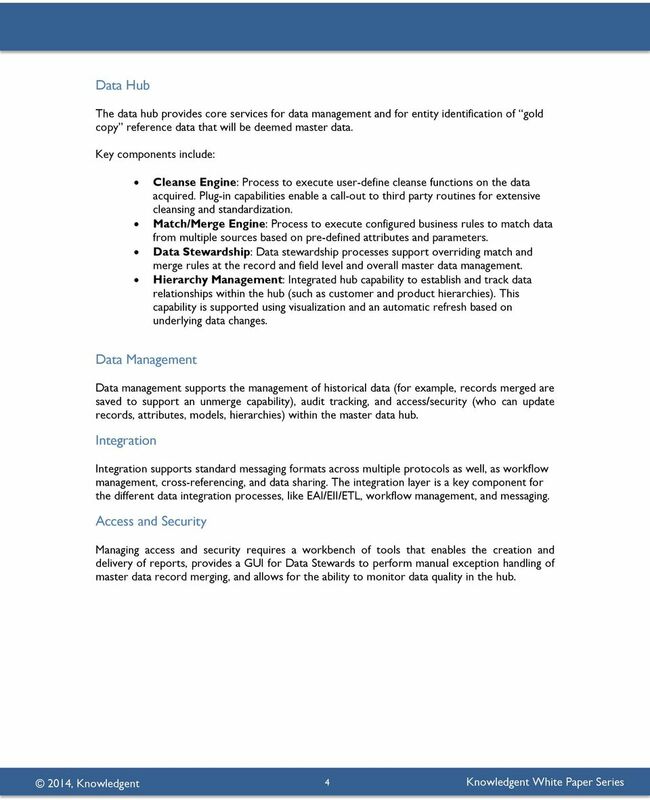 Creating the Golden Record Better Data through Chemistry Donald J. Soulsby metawright.com Agenda The Golden Record Master Data Discovery Integration Quality Master Data Strategy DAMA LinkedIn Group C.
Corralling Data for Business Insights The difference data relationship management can make Part of the Rolta Managed Services Series Data Relationship Management Data inconsistencies plague many organizations. 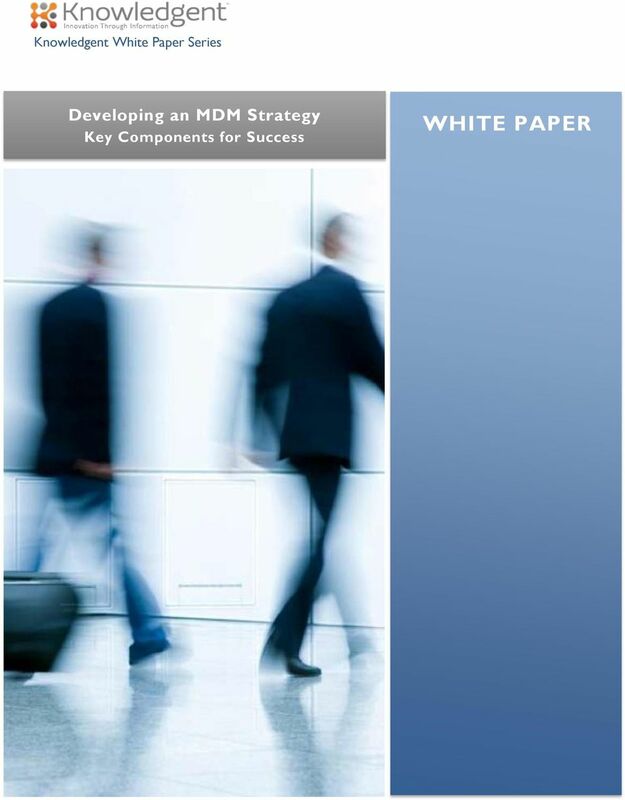 Thank you for attending the MDM for the Enterprise Seminar Series! 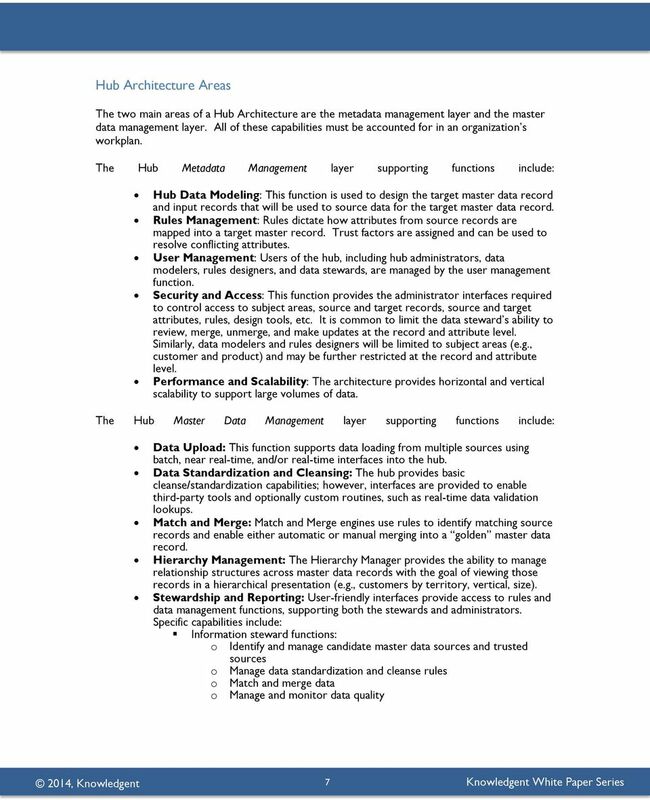 ORACLE CUSTOMER HUB. 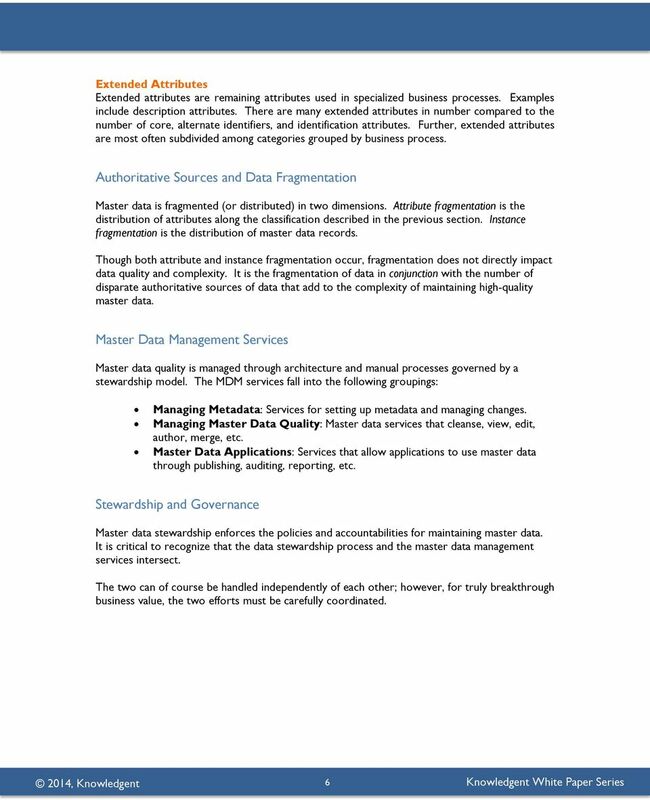 Consolidate & govern a unique, complete and accurate set of Master Customer information from across the enterprise.